I have wanted to live at the beach since I was 18 years old. I have attempted several times but it just hasn't lined up, until now. The camper is here. It's becoming real. I'm really going to sell my house and move into our 5th wheel camper, but first, I need to redecorate. 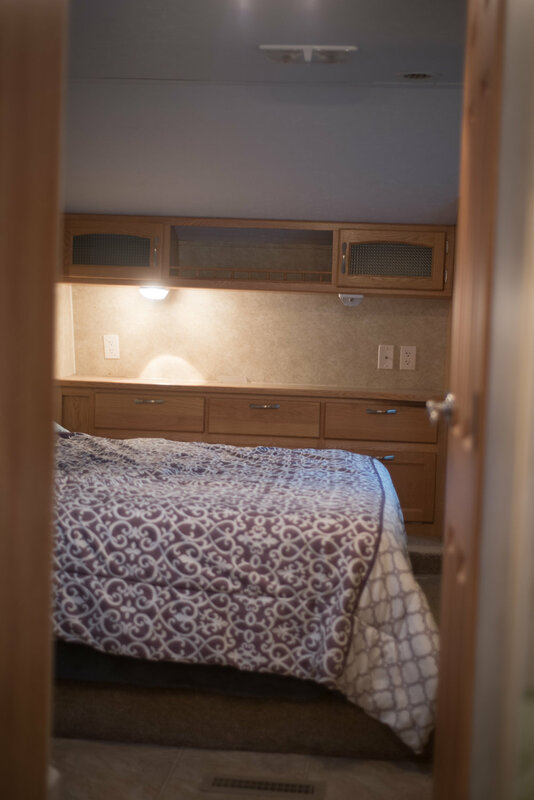 Let's face it, the inside of campers are UGLY. I like to surround myself with beauty so the interior has got to go! The next two months I will be putting down new flooring, wall paper and painting. It's going to be beautiful! Here's to living life on my terms! Now I gotta get working on pulling out that gross carpet, I'll update you once the new flooring is down!